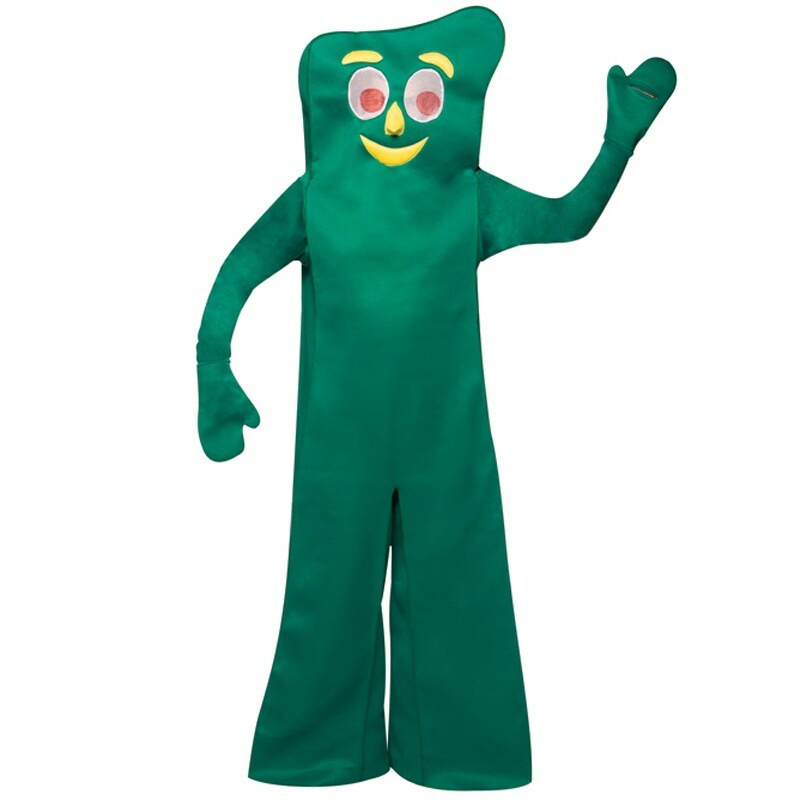 Gumby bodysuit with velcro closure offers a comfortable fit. One piece foam-backed laminated fabric, 100% Polyester. Attached mittens have slots to free your hands. Adult standard size—one size fits most adults. Approximate measurements: Chest 48-54″, Waist 50-54″, Height up to 6′ +, Inseam 33″.